As we discussed in Part 1, nail removal is not necessary if the nail margins and the nail are intact. Perform a digital block before doing any of this! HOW IS THE NAIL REMOVED? 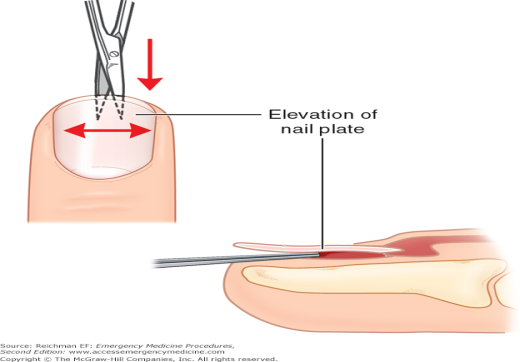 WHAT TYPE OF SUTURE IS USED FOR NAILBED REPAIR? Ideally, the avulsed nail will be reapplied. If the nail can’t be used (because it’s destroyed or it didn’t come with the patient) you can use the suture packaging or gauze.